Are you on the hunt for a car, truck, or SUV equipped with the most advanced infotainment systems? You’re in luck! Ford SYNC® infotainment technology delivers a highly capable, intelligently designed interface with the cutting-edge features your daily drive deserves. To learn more about the two available versions of SYNC® infotainment, continue reading the comprehensive review below created by the product specialists at Westlie Ford in Washougal, WA. If you have any questions before continuing, reach out to the Westlie Ford team by calling (877) 299-1138. Ford+Alexa including voice navigation, traffic information, and much more! 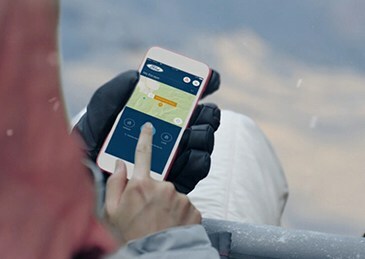 Connecting to your Ford SYNC® system is easy and can be completed in just a few simple steps. Once paired, you’ll enjoy features such as hands-free calling, audio streaming, and more! To connect your smart phone to your vehicle’s SYNC® infotainment system, follow the steps below. Start your Ford vehicle and make sure the audio system is turned on, as well as your phone’s Bluetooth® feature. Press the PHONE button. When the audio display indicates there is no paired phone, selection the option to add. When a message to begin pairing appears in the audio display, search for SYNC on your phone to start the pairing process. When prompted on your cell phone’s display, confirm that the PIN provided by SYNC matches the PIN displayed on your cell phone. Your phone is now paired and the display indicates that the pairing was successful. 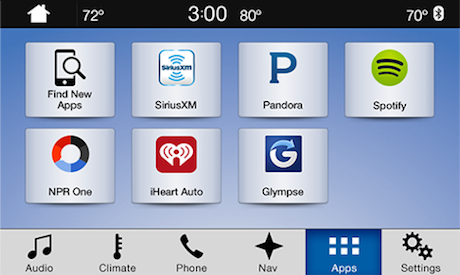 Which New Ford Models Come with Ford SYNC®? Whether you need a sensible Ford car for commuting, a roomy Ford SUV for the family, or a highly capable Ford truck for your business, you’ll be able to enjoy Ford SYNC® or SYNC® 3 in nearly every new and recent model year Ford vehicle. Check out the Ford models available with SYNC® technology below, and then head over to the new inventory at our Ford dealership in Washougal, WA to find your perfect model. After learning about the impressive Ford SYNC® infotainment technology, experience it firsthand by scheduling a test drive with your favorite model at our showroom. If you have any questions, don’t hesitate to reach out to the Westlie Ford team through our contact form or by calling (877) 299-1138.